It's a good review and love the Tony Northrup remark in the comments. When AF.C is mentioned as being used, it is not mentioned how or if the menu settings associated with it are set to anything other than default. I am not sure if the user knew what exactly was being utilized, which may make the AF.C review non-reflective of how the K-1 actually performs if correctly used. A horse jumping over a steeple is not a difficult object at a distance to take a picture of with AF.C. It is similar in speed to a seagull flying by, but a lot larger. To underestimate the K-1 AF is ridiculous when it is a well operating system. Last edited by C_Jones; 08-04-2016 at 07:48 PM. When AF.C is mentioned as being used, it is not mentioned how or if the menu settings associated with it are set to anything other than default. I am not sure if the user knew what exactly was being utilized, which may make the AF.C review non-reflective of how the K-1 actually performs if correctly utilized. A horse jumping over a steeple is not a difficult object at a distance to take a picture of with AF.C. It is similar in speed to a seagull flying by, but a lot larger. To underestimate the K-1 AF is ridiculous when it is a well operating system. It says: "What's frustrating is that there's little in the way of customizability in the menu system. Options like telling the camera to ignore closer subjects that suddenly pop into the frame aren't there. 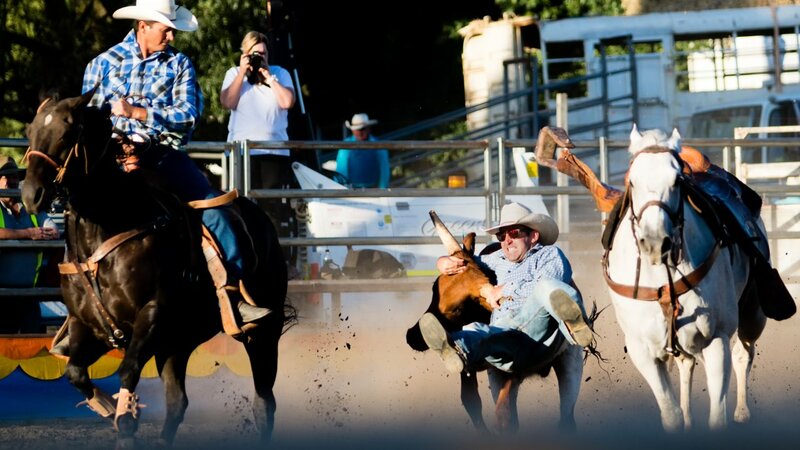 This is frustrating, as by the end of the derby, I could predictably tell where the camera would lose autofocus as I panned across a closer jump while following a rider and horse." That can be customised by "Hold AF Status", which can be "Off", "Low", "Medium", or "High". It is one of several features in "Phase Detection AF", the very first item in the Menu. I suspect the default settings were being used, but as you say we can't be sure. Pentax should create a White Paper or two teaching how to set up and use AF.C for various applications. So do I ... that's funny. What is it with these 'experts' and their inability to shoot moving objects? Conveniently, he did not dare state his methods, but perhaps there is a hint when he says: "I could predictably tell where the camera would lose autofocus as I panned across a closer jump while following a rider and horse.". That sounds to me like he didn't have the skills and just set it to Auto. If you have 33 points, the closest object falling under *any* of the points is what gets the focus. He should have picked a focus point and tracked the rider. If he was using back button focus, he also could have released while that obstacle was in the way. If as an unskilled hobbyist I can do that with footballers moving across my line of sight, why can't he for a stationary hurdle? I took this with a K-30 and Tamron 70-200, much lower cost and tech than what he had available to him. The horses and bulls were in full gallop both laterally and the Z direction, and I had plenty of poles in between - that's not a vignette at the bottom of the pic, that's fencing. Last edited by clackers; 08-04-2016 at 09:35 PM. Other than "Hold AF Status", which was pointed out by Barry Pearson, the "1st Frame in AF.C Mode", and "Action in AFC Continuous" would be other possible settings that could be customized. Also Spot (center, single point) AF. Those settings provide a different type of performance if they are customized rather than using the default. As Barry said, it is hard to tell how the user had the camera being used configured, other than it was just set to AF.C. Perhaps there is a hint in his method when he said "I could predictably tell where the camera would lose autofocus as I panned across a closer jump while following a rider and horse.". I took this with a K-30 and Tamron 70-200, much lower cost and tech than what he had available to him. The horses and bulls were in full gallop both laterally and the Z direction, and I had plenty of fencing poles in between. What you are saying/showing is so true. Last edited by C_Jones; 08-04-2016 at 08:44 PM. I wrote the review. Sorry to hear you think I don't have the requisite skills, but I'll have to respectfully disagree with you. Indeed, I did not just set it to Auto, because as you pointed out, the camera typically chooses whatever is closest to it and given that the riders were approximate 30-150 feet away, it surely wasn't them. I used AF-C with single spot and sometimes Expanded Area AF, both of which provided similar results. Coming from my Canon system, I did indeed consult the manual to use optimum settings as I wanted to understand Pentax's terminology and AF logic; the issue was that the camera simply wasn't fast enough most of the time. I think what you're seeing in my writing is the delicate balance between providing an informative review and boring the reader with an overload of details. The takeaway point was that the tracking is not up to par. As for lifting off the focus button, that's often not an option in fast action photography, because your eye is to the viewfinder and can't see objects outside the frame until it's too late; while I knew where those objects were after a while, the point was that if I didn't, I would have been out of luck. Also, I had focus priority set, while unfortunately, the manual is very unclear in its description of the focus hold function, making it seem as if it's designed to keep focus for an amount of time if you accidentally take your focus point off the subject, not as a counteraction for objects that cross into the frame. In interests of balance, let me say the rest of the review is fine. One thing to note is that Pentax is not new to the full-frame game, only to the digital full-frame game. This means their massive library of K-mount lenses all work natively on the K-1, including autofocus for those that have it. DA lenses also work on the camera in crop mode, though a few will cover the entire sensor with their image circle and thus will work in full-frame mode. M42 and M37 lenses work with a simple adapter. You can even adapt 645 and 6x7 lenses, though they'll need to have an aperture ring. Much like using 35mm lenses on a crop sensor, you can expect great optical quality from those lenses as the 35mm sensor is only using the center of the medium format image circle. That being said, don't expect every old lens to be up to par on that 36 MP sensor. His handling of that topic in his own review was horrible. Legacy manual-focus lenses on the K-1 really don't make any sense, because you don't have any focusing aids of any consequence. You can't even swap in a split-prism and micro-prism focusing screen. When I wanted a camera specifically to use with vintage lenses, I picked up a used Sony A7 for a lot less than a K-1 would have cost. I've got focus peaking and magnification in the EVF, and it's working well. Sorry to hear you think I don't have the requisite skills. You're an equestrian and shoot - why were you unable to do this? FWIW, if you look at material like the Canon 1Dx AF Settings Guide Book (10 MB PDF), you will find a surprising amount of commonality between their AF setting options and those of the K-3/K-1. The systems are different in lots of details, but the basics - AF zones, AF area selection modes, how the AF hold options are meant to work etc - seem similar enough to Canon to suggest that a Canon user should be able to master the K-1's AF settings easily enough. I was able to. Did you read the review closely? The problem was the keeper rate was very low; neither of the links you provided mentioned how many OOF shots were in those sequences. When I got in-focus shots, as mentioned, they were very good. Oh, I read, Alex - you said your keeper rate was only 2 out of 11 for lateral movement. If you really want to compare your skills, now that you're a forum member, I think you should PM @beholder3, who did those shots, or any of our other users who've shot and presented here ducks in flight, aircraft, cars, racing motorbikes, runners or cyclists, and ask whether their keeper rate was 18% or not. Last edited by clackers; 08-04-2016 at 10:26 PM. All times are GMT -7. The time now is 11:36 PM. | See also: NikonForums.com, CanonForums.com part of our network of photo forums!